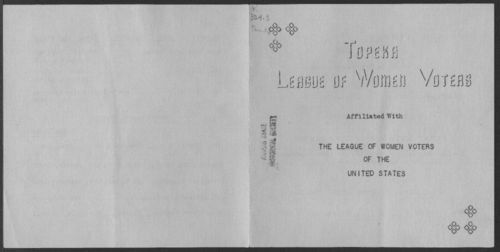 The Topeka League of Women Voters held its second annual civic dinner on March 11, 1947. The program includes information about speakers, the order of events, and the league officers. The speakers topics were possible action concerning state and local issues and the League's approach to atomic energy control. Topeka League of Women Voters Second Annual Civic Dinner.